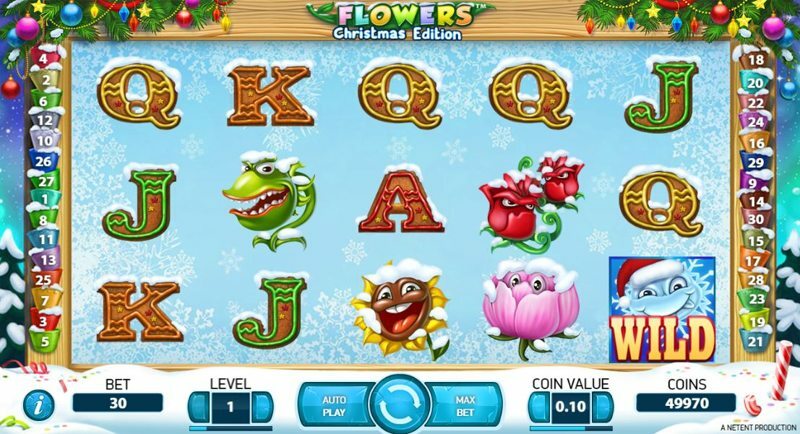 Flowers: Christmas edition is a follow-up slot to Flowers; one of Net Entertainment’s most popular slot games to date. While we’ve seen a Christmas Edition of a couple of other Net Entertainment slots, including Fruit Shot, and Secret of the Stones, it’s still fairly rare for a game to get a dedicated re-do, and the fact Net Entertainment produced Flowers: Christmas edition just goes to show how popular the original game was! While the game itself doesn’t differ too much from the original, there are a couple of key differences that help to make the game unique. First of all, you’ll notice the game’s design has changed, quite heavily. The background now takes the form of a snowy, festive scene, and you’ll see great big fir trees covered in snow, alongside candy canes half-exposed at the forefront of your screen. The décor around the reels has also changed, with Flowers: Christmas edition using bubals to decorate the tops of the reels. You’ll also notice the soundtrack is different, this time opting for a more Christmassy feel, and the reel-win noises are jinglier. On the subject of reels, the symbols remain the same (albeit designed slightly differently to coincide with the Christmas theme), and Flowers: Christmas edition uses traditional playing card symbols, including 10, J (Jack), Q (Queen), K (King), and A (Ace) for the low-paying symbols, and a variety of flowers for the high-paying ones. Mobile gameplay is also the same as Flowers: Christmas edition’s predecessor, with most modern devices able to run the game, so long as the Internet Connection is semi-reliable. First off, you’ll notice some of the flower symbols have two flowers, while others have just one. This can get a little tricky to get your head around at first, but the flower symbols with two flowers on, act as two symbols. So, for instance, if you had 3-of-a-kind of normal, singular-flower flower symbols, you’ll be paid out for a 3-of-a-kind. However, if one of the three symbols was a two-flower symbol, you’d be paid at 4-of-a-kind. 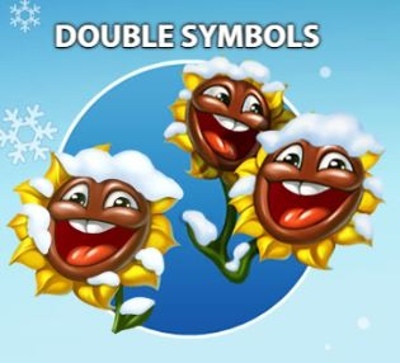 If two of the symbols were double-flower symbols, you’d be paid at 5-of-a-kind, and so on. To scatter symbols are also the same, with some featuring one flower, and some featuring two. You’ll need four symbols to trigger the free-spins, and this can consist of any number of the symbols (two appears to be the most common). Trigger the free-spins, and you’ll be awarded either 10, 13, 20, 25, or 30 free-spins, depending on whether you manage to land four, five, six, seven, or eight of the scatter symbols. During the free-spins, the wild symbols become stacked – meaning they can fill entire reels instead of singular positions – and if you’re lucky enough to get two or more reels fully stacked, you can be in with a fantastic chance of making lucrative 4-of-a-kind and 5-of-a-kind pay lines. It’s also worth mentioning that during the free-spins, all your wins are subject to a 3X multiplier, so big wins become even bigger. 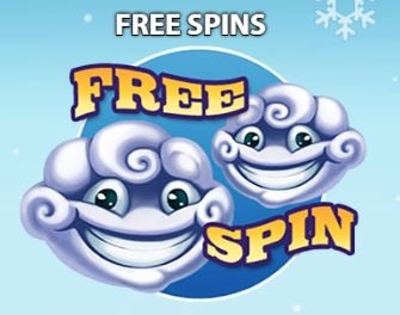 You can also re-trigger the free-spins at any time, simply by landing the scatter symbols inside the free-spins, just the same as the regular base-game.